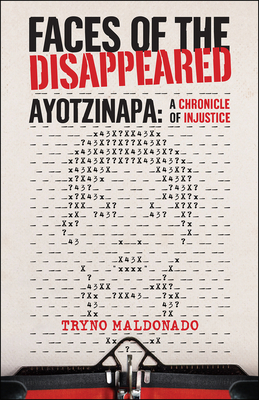 Award-winning Mexican author Tryno Maldonado personally immerses himself in the lives of the students of Ayotzinapa Normal School—victims in the still-unexplained kidnapping tragedy that took place in September 2014. In this narrative, he relives the events leading up to and during the horrific incident in which 43 students were brutalized at the hands of police and militarized narco-gang members, then vanished without a trace. With in-depth interviews of family members and friends of the "disappeared," as well as investigative reportage of the events leading up to and during the incident, Maldonado has created a viscerally powerful account of this tragedy that, to date, has yet to be resolved. Considered by critics to be one of the most promising voices in contemporary Mexican literature, Tryno Maldonado was born in 1977 in Zacatecas, México. He has contributed to some of the most important publications in México, and part of his work is included in national and international anthologies. He was named one of the best young Latin American writers by the Colombian magazine Gatopardo in 2006. Faces of the Disappeared is his first book to be translated into English. In the 1960s Chandler Thompson was a Peace Corps Volunteer in Colombia, then a translator from French and Spanish to English for a wire service in Paris. He has been an interpreter for the U.S. State Department and the federal courts. He has covered Mexico as a stringer for The Christian Science Monitor and as a staff reporter for The El Paso Times.